They all were filmed in Georgia and contributed to the $9.5 billion the film industry brought to the state last year. The state’s burgeoning foray into movie-making will be the focus of this year’s University of Georgia Charter Lecture, “Hollywood South: The New $9.5 Billion Georgia Industry,” on Feb. 26 at 2 p.m. at the Chapel. The event is part of the Signature Lecture series and is sponsored by the Provost’s Office and the Office of Academic Programs. In addition to Thomas, panelists include Gale Anne Hurd, executive producer of “The Walking Dead,” and Will Packer, executive producer of “Straight Outta Compton.” It will be moderated by Jeffrey Stepakoff, executive director of the Georgia Film Academy. The industry has grown in the last decade from $240 million in 2007 to its current $9.5 billion. Now, there are an average of 30 to 40 productions ongoing at any given time across the state. That growth benefits not only the people working on the productions, but also the towns where they’re being filmed. Thanks to “The Walking Dead,” downtown Senoia has seen a revitalization. When production started, only six storefronts were occupied, according to Thomas. 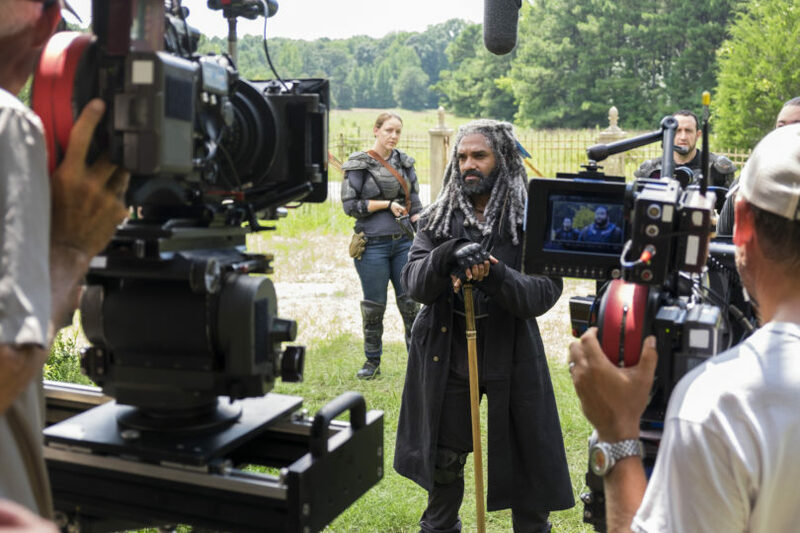 Today, all 50 are occupied, including Nic and Norman’s, started by one of the show’s stars, Norman Reedus, and special effects make-up artist Greg Nicotero. Tourism is a big draw for Senoia and other filming locations across the state. More than 92,000 people in Georgia work in jobs with ties to the entertainment industry. 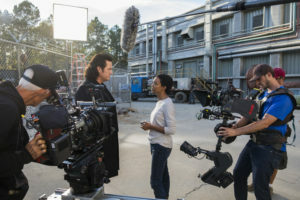 “The Walking Dead,” which occasionally films on UGA’s Griffin campus, boasts a crew in which Georgians make up more than 90 percent of the crew. The first Marvel Studios movie to film in Georgia was only about 55 percent local, but with each movie they have been able to find more and more trained crew locally, so they bring less people from outside the state. These local crews include everyone from caterers to camera people. Not only are productions purchasing local items, such as carpet from manufacturers in Dalton, but cast and crew also are spending money locally while living in the state. Because tax credits create significant cost savings, they are an important part of why production companies choose to come to Georgia. According to georgia.org, the state’s Entertainment Industry Investment Act provides a 20 percent tax credit for companies that spend $500,000 or more on production and post-production in Georgia, either in a single production or on multiple projects. The state grants an additional 10 percent tax credit if the finished project includes a promotional logo provided by the state. Hartsfield-Jackson Atlanta International Airport is another draw. The many direct flights to and from Los Angeles and other locations make it easy to get the cast, crew and other goods to filming locations in Georgia. The state’s temperate climate and varied terrain also make filming here easy for production companies. They can find everything from coastal areas to mountainous peaks and metropolitan cities to small towns, all within a few hours’ drive. The quality of life in Georgia is another factor drawing productions to the state. The Georgia Film Academy began in 2015 to help meet the demand and create a permanent and sustainable industry and works with 18 partner institutions across the state. Its primary focus is working with leadership in film and television production training, creating jobs for Georgians and developing a permanent and sustainable entertainment industry. “We want to make sure that we have the economic engine of the entire entertainment industry here in Georgia—indeed a full ecosystem,” Stepakoff said. Approximately 2,000 Georgians have taken courses through the academy, and 562 people have been placed in internships. Many of those are in below-the-line positions in areas such as grip, electric and lighting, but the academy is adding courses in above-the-line trades such as screenwriting and filmmaking.